Archbishop Eamon Martin warns “There can be no going back to the days of violence and death on our streets” as he appeals to politicians to “reject divisive language and actions” during 2019. In his homily for World Day of Peace on the first day of the new year, Archbishop Eamon Martin expressed concern about Brexit and the “danger of increased community polarisation on account of the Brexit debate and the political impasse at Stormont”. He encouraged politicians to beware of “the temptation to retreat into partisanship” in the “coming challenging months” and stressed that the progress made over the past 20 years in Northern Ireland is “fragile”. His concerns over Brexit were echoed by Archbishop Diarmuid Martin of Dublin, who warned that the New Year promises to be “a difficult and perplexing year” in Ireland and throughout the world. In his homily delivered at the Church of Our Lady Queen of Peace, Merrion Road in Dublin at a Mass concelebrated with the Papal Nuncio, Archbishop Jude Okolo, Dr Martin warned that the consequences of Brexit will inevitably create new challenges, no matter what the details of Brexit may be and that the country’s relationship with its nearest neighbour will change. “That relationship had attained new levels of peaceful and fruitful connection, especially because of the Good Friday agreement and our common membership of the European Union,” he said and added that one of the challenges for politics in this period of change is to safeguard what has be attained over recent years. Dr Martin also warned that clouds have been appearing on the horizon as right across Europe narrow nationalism has begun to reappear. He paid tribute to the work for peace carried out by the Defence Forces, the Gardaí, diplomats, development organisations, lay and religious missionaries and by sectors of the business community who foster economic development. But he highlighted how Ireland, despite its progress, “is immersed and trapped in a series of social crises that seem almost intractable to politics”. Of the crises of homelessness, in the healthcare system and the lack of access to the education system for the poorest, he stressed that “people want answers in facts and achievements and not in words and spin”. The task of resolving these challenges will certainly be made more difficult, as they must be addressed within the framework of the challenges of Brexit, he said and added that talk of Brexit must not be allowed to smother them. Meanwhile, church leaders from the main Christian traditions on the island of Ireland have also urged political leaders to “make a real difference in 2019 and to help restore a sense of hope”. 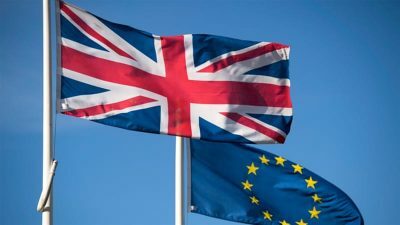 In a statement the leaders warned that the ongoing uncertainty of Brexit has added to worries, for business people and ordinary citizens alike. “Many businesses fear for the future, while many families, struggling to make ends meet today, are anxious about what that future might hold,” they highlighted. The leaders along with Archbishop Eamon Martin said the lack of a functioning devolved government in Northern Ireland was a concern. It “not only drains hope from our society, but also has meant an ever increasing pressure on our schools, our hospitals, our welfare system and many other aspects of society’s infrastructure,” they said and warned that it was the vulnerable and the marginalised that suffer most and that they should be at the forefront of people’s thoughts and prayers as the new year begins. Stressing the need for politicians to speak and work for the voiceless, supporting the poor and disadvantaged, the homeless, migrants and the most vulnerable, Archbishop Eamon Martin said they must do this even though doing so may not always win them popularity or votes. Elsewhere in his homily, the Catholic Primate also warned that despite the new legislation for abortion that is taking effect, it remains gravely morally wrong to deliberately and intentionally take the life of an innocent person, whatever their state or stage of life. “To co-operate in such an act, by supporting it directly or indirectly, either as an individual act or as a social policy, shall always be gravely wrong,” he said. He continued, “Although the Eighth Amendment has been removed from the Constitution of Ireland, it remains no less true that the life of a woman and her unborn baby are equally deserving of love, respect and protection. Any law which suggests otherwise has no moral force. For 2019, he urged everyone – in their families, communities, schools, colleges and workplaces – to sensitively and respectfully present life-saving alternatives to abortion, so that no vulnerable woman in crisis will feel that the only way out for her is to end the life of her unborn child.